Looking for better results from your content marketing? Marketing Manager John Freeman gave a webinar presentation outlining strategies and tactics that your destination can use right away to connect the right stories with the right visitors. 1) Content marketing is a competition. The newsfeed is the new battleground. Content marketers need to make incremental gains over time in order to be successful, because the stories you tell are competing for valuable and scarce attention. As champion U.K. cycling coach Dave Brailsford has said, “We are always striving for improvement, for those 1% gains in absolutely single everything we do.” Content marketers must think like champion athletes, or risk declining performance. Little improvements over long periods of time can have a huge impact. Content must be optimized in order to be competitive. Without optimization, our stories will simply get lost as one among thousands, no matter how compelling the stories are. When using images of people, choose photos in which the eyes point in the direction you want the viewer’s eyes or mouse to go. What habits does your audience have? Use Facebook Insights to learn about your demographic and when they are most likely to engage with your content. Did you know that the average attention span is seven seconds? Facebook’s algorithm rewards videos that are watched to completion, so why not make your videos seven seconds long? Optimize your copy to include the word “you.” Stories are told to individuals, so speak directly to them. A bonus tip from John: The most popular destination photos almost always involve reflecting water. 3) Strategy: The right stories told by the right storytellers on the right channels to the right audience. 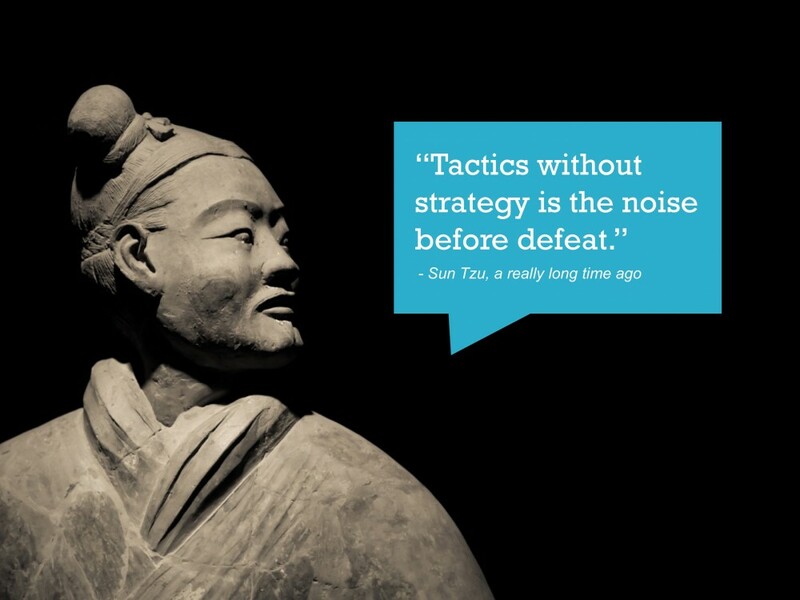 As Sun Tzu once said, long before Facebook, “Tactics without strategy is the noise before defeat.” That principle holds true for content marketing. Take time to consider how the stories you tell (your content) will connect with the people who will benefit from it. With a skillful approach, you can turn your most raving fans into your marketing department by enhancing word-of-mouth promotion. This is true no matter the size of your destination, whether it’s located above the Arctic circle or in Western Europe or beyond. What would planet Earth miss if your destination fell off the map? Begin by answering this question to find and communicate the greatest value you can offer through the stories you share and curate. We’ve only scratched the surface here; watch John’s full presentation above for a wealth of insights that will help you win the content marketing battle.